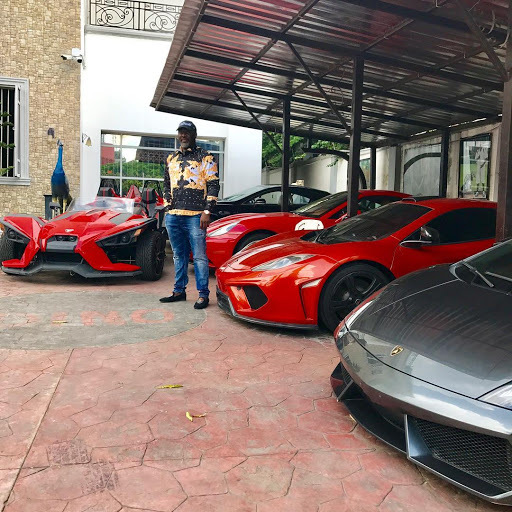 By Now you may have one way or the other noticed that AY comedian worships Senator Dino Melaye like his god, Even though the comedian is 3 years older than him, Of course who wouldn’t after seeing how he splashes billions on Exotic cars, The Senator is said to be one of the biggest boys in Abuja. To confirm this the Senator just shared the photo above of himself 15mins ago. AY immediately commented on the photo saying ”Olorun mi” Meaning my god.. see below!